Attention all Operators! What is a Dollar Really Worth? by Restaurant Consultants, Inc.
A recent analysis of 120 of the largest publicly traded restaurant companies in the United States shows that the average net profit is 11.71%. That led me to contemplate what operators have to do to actually get that eleven cents to the bottom line, and it's harder than most people realize.Selling a million dollars worth of burritos that cost you a million dollars equals a waste of time. Profitability is critical to a restaurant operator, and essential to the growth of your business! As an operator, you actually do three things with your money: You generate it, you spend it, and you save it. Let's concentrate on the spending and savings components for a moment, and you'll see how closely tied in they are to each other. For ease of understanding, let's assume that an average operator makes an average of 10% net operating profit. That is no small feat, and my compliments go out to those that can keep up these numbers month after month!.Based on the above assumption of 10%, for every dollar you keep, you have to make $10.00. Where does the other $9.00 go? I'll list a few places, and I'm sure you can add a few of your own:.Labor, benefits, taxes, cost of products (food, liquor, supplies), equipment, uniforms, repairs & upkeep, cleaning supplies, phone, bank and credit card fees, utilities, vacations, advertising, rent, mortgage, lease payments. As a consultant, I frequently hear clients say, "I want to make more money", and I challenge them by responding, "How much money did you save today?" To illustrate this point further, if you can save $5.00 on a laundry invoice, at 10% net operating profit, that $5.00 translates into $50.00 of income that did not have to be earned?just to pay for that laundry.Worldwide, there are approximately 8 million food-service establishments. Just imagine if each one saved just one dollar a day in operating expenses. The figures can quickly become mind-boggling.Then why is it so hard to generate additional profits on the monthly profit and loss statement? It's because as operators, we become conditioned to running our restaurants in the same way, day after day. We become familiar with the same vendors, charging what appears to be a reasonable cost for the product or service supplied.Have you ever thought about a complete overhaul of your financial thinking? What would happen if you evaluated each vendor and their pricing structure one by one? What would happen if you looked at your operation with a critical eye towards expenses and revamped the way you actually do business? Could you really save $50.00 or $100.00 a day or more? Remember that $50. 00 translates into $500.00 and $100.00 translates into $1,000.00. If you could save $100.00 a day in operating expenses combined, in a seven-day period that becomes $7,000.00. Over the course of 365 days, that becomes $365,000.00 you don't have to earn!.Here's some tips on how to increase your net income and bring more money to the bank, step by step:.1. Your profit and loss statement--did your accounting firm create this form for you? Are they negotiable in their fees? What other preparation options are available to you?.2. Look at your top costs. For most operators, they will be food and beverage. Break these areas up, and address the costs with each vendor. Schedule a time to negotiate better pricing, bulk buys, or other methods of reducing the total cost of your products. Are you getting the best deals on product, considering the services rendered? Are you comparing prices to keep honest vendors honest?. 3. Turn your scheduling upside down. How can you save money on your labor? Can you have hourly staff come in one hour later? Can you combine efficiencies to reduce your staff costs? Are your people cross-trained to handle multiple tasks, thereby reducing the need for specialized help? Is your management staffing optimized for efficiency?. 4. Property and real estate costs. Have you evaluated each area for cost savings or deals? Is your landlord willing to drop the cost of rent in exchange for services or a longer lease? Can you convert into a triple net lease, and lower your fixed rent?.5. Utilities. Are you turning on kitchen equipment all at the same time, creating a peak spike in energy costs? Can you delay equipment usage by a half hour a day? How about air conditioning and heating? Can you use these more effectively by turning them on later, or turning them off earlier? Can you use more energy efficient lighting throughout the operation?. 6. Contracted services, including laundry and cleaning services. Are these areas that you can negotiate the fees? Will they drop the costs if you agree to a long-term usage agreement?.7. Bank, credit card, and other financial fees. Are you getting the best deal on your credit card discount rate? Have you shopped for lower rates recently? Are you being charged excessive bank fees for basic banking services such as a checking account? All of these fees are negotiable, and you'll quickly save by shopping around.8. Telephone charges. Do you have long distance costs controlled? Who can make long distance calls and why? Unless your chef is ordering fresh fish from Hawaii, there is no need to use long distance services. Virtually all vendors have 800 numbers, or they'll make accommodations for you to place your orders toll free.9. Supplies, small wares, and other controllable expenses. Do you have a purchase order system in place? Who has access to petty cash? Who has the authority to purchase these items? Unless systems are in place, you're loosing valuable assets. 10. Menu design. Are you selling the most profitable items possible? Are they placed in the right spot on your menu? Unless your menu is costed out correctly, and laid out properly by an expert, you are selling yourself short. (May I humbly pitch our services? We're great with menus!).11. Marketing plans. Unless you have a well-conceived and thoughtfully crafted marketing program in place, you will probably be throwing good money away on temporary promotions.12. Rewards in place for creating additional profitability. It takes work to create profit. How about creating profit teams? Take key staff members and make them responsible and accountable for various financial components of your operation. When they realize a cost savings, reward them for their diligence, and you will reap the rewards, line item by line item.Remember, it's not what you make, it's what you keep. By concentrating on keeping more of your money in your pocket, you'll increase the profitability and value of your business. ***************************************************************.Also, a lot more free tips are available on our web-site at www.restaurantconsultant.org.***************************************************************. Kevin Moll is the President of Restaurant Consultants Inc. 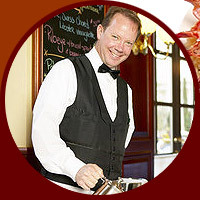 Published author with over 30 years in the restaurant business, his firm specializes in restaurant startups and troubleshooting, both domestically and internationally.